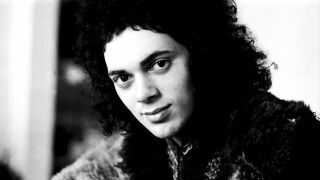 Free bassist Andy Fraser has died at the age of 62, it’s been confirmed. He passed away on Monday morning. His cause of death has not been confirmed, but he’d been dealing with AIDS and cancer in recent years. An official statement says: “Andrew McLan Fraser passed away on Monday at his home in California. He leaves behind his daughters Hannah and Jasmine Fraser, and their mother Ri, his sister Gail, brothers Gavin and Alex, and many friends and associates in the industry. Fraser was born in London in 1952 and was a founding member of Free at the age of just 15. As well as his work with Free, he had success with John Mayall & the Bluesbreakers and Sharks. In the 1980s he was diagnosed with HIV and a form of cancer called Kaposi’s Sarcoma and he battled with suicidal thoughts which, he wrote on his website, were only alleviated when he came out as gay. Fraser had recently been a leading light in the Rock Against Trafficking charity. President Gary Miller said: “My dear friend did so much for the organisation, and for me personally.